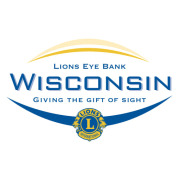 Lions Eye Bank of Wisconsin is in search of local community members to join our volunteer team! We are looking for multiple people to help fill the role of a hospitality team member for our new facility, located at 5003 Tradewinds Parkway , Madison, WI 53718. We anticipate heavy traffic of community partners, Lions clubs members, nonprofit organizations, donor families, transplant recipients and health care professionals. We are looking for friendly, productive people to help our nonprofit organization meet the needs of our community and our new facility. For more information contact the Community Outreach Manager at smohr@lebw.org or (877) 233-2354 ext. 212. Please follow our Facebook, Twitter, and LinkedIn pages for updates on volunteer opportunities!